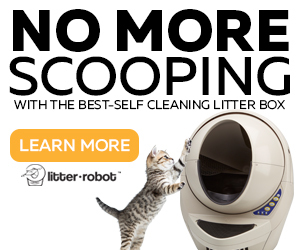 PetStation Automatic Feeder with Network Camera Review - Is It Worth It? 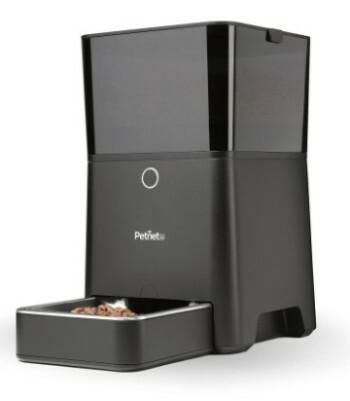 Pet Station it’s an intelligent automatic pet feeder that connects to the wireless internet and features a built-in camera that allows you to watch your pet while eating by making video calls from your smartphone to the Pet Station, via Skype. As you interact with your friends or family through Skype, you can do it now with your pet. With iOS smartphone apps as the interface, you can control and monitor your pet’s eating activity from anywhere. This smart feeder connects wirelessly to your Wi-Fi home network and it’s able to host Skype calls which allows you to set up your Skype account to connect with your pet through video calls. Pet Station automatic feeder allows you to program a feeding schedule or you can feed your pet from remote at any time. The feeding schedule can be customized according to your needs, every day or group of days of the week. The meal has a personal recorded message calling your pet to eat. This device is so interactive that even your pet can make video calls to you when it needs. The level of interactivity is a very important aspects when choosing a Wi-Fi automatic feeder. The unit is easy to fill and clean and it is powered by an AC/DC adapter. The unit connects wirelessly to your home’s Wi-fi network. It supports Smartphones: iPhone 4, 4S, 5, 5S, 6, 6+ (After Version of iOS 7) Android 4.0 (Icecream sandwich) After Version. iOS app interface is easy to program and operate on your Smartphone. 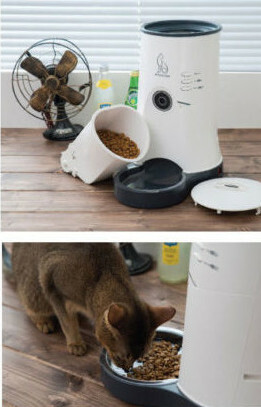 Automatic pet feeder with a built-in camera allows you to watch your pet via Skype video calls from your Smartphone with a 90-degree angle view. 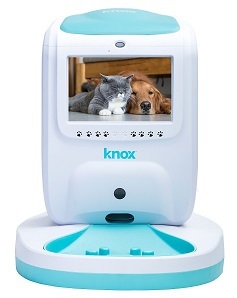 You can make a video call to your pet (the feeder) and your pet can create a video call to your smartphone as well. Integrated camera with video quality up to HD 1280x720p and high-resolution camera up to 2 mega pix for image capture. You can set a feeding schedule for your pet or trigger a meal at any time from your Smartphone. You can set up to 20 meals by day, at programmed feeding times. Accurate timer for reliable feeding times. Meals can be adjusted individually from 0.175 Oz up to 3.5 Oz., each. Increasing in 0.175 Oz = 1 unit. Personalized voice recording message calling your pet to eat (voice message up to 20 sec.). Lid-Lock mechanism and removable feeding bowl. Alert on your Smart phone if lack of food in the unit. Dimensions: 6.9” x 12.6” x 13.78”; Weight: 6.6 lbs. Adapter input voltage : AC 100 ~ 240V. If your local input voltage is AC100 ~ 120V, you need a transformer to convert from 220VAC to 110VAC. The plug is C type. Hopper capacity : about 1.55 lbs. Suitable for cats and small dogs weighing under 22 lbs. 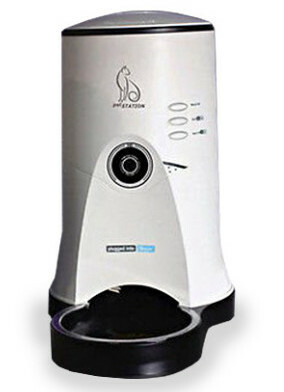 PetStation automatic pet feeder connects with your home wireless network and it hosts Skype video calls so you can interact with your pet while you are away from home. You can watch your pet while eating from your Smart phone and you can make a video call anytime if you miss your pet. iOS app interface on your smart phone makes it easy to operate the feeder. The smart feeder supports Android phones and Apple iPhones. The system works only with a Smart phone app to set it up. You can see the images when your smart phone is connected to your Wi-fi but also when connected to internet via 3G or LTE. 1) To setup the Smart Call one minute before the schedule feed. For example, if you have a programmed meal at 3 pm, you will receive the video call at 2:59 pm so you can wait and watch your pet eating. 2) To setup the Smart Call by motion, so every time your cat sits in front of the feeder you will receive a call. 3) To setup the Smart Call by sound, so if your cat meows in front of the feeder the video call will be triggered calling your smart phone. You decide if you want to answer the video call and watch your pet or simply ignore the call. 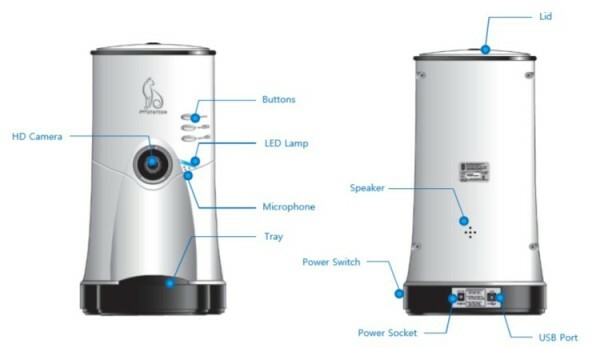 Smart Call function can be switched on or off. If you want to start a video call from your PC, you can download the video calling application to your PC. You will have to register at the library. You can video call and remote feed from your PC, but you can’t program a feeding schedule. PetStation allows you to feed your pet up to 20 times a day, each meal from 0.175 Oz up to 3.5 Oz. Meals are defined in units where 1 unit = 0.175 Oz. So you can increase the amount of each meal by adding units of 0.175 Oz. The total amount of units you can serve one meal is 20 units = 3.5 Oz. 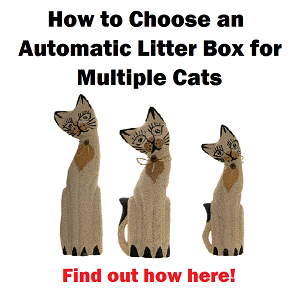 As the unit dispenses up to 20 times a day this is a good solution for pets that eat too fast and then vomit because you can split one meal in different smaller portions with one-minute intervals. A recording message with your voice calls your pet to eat every time a feed is dispensed. For best accuracy, the ideal kibble size is less than 2/5” diameter. A good feature of the PetStation is the alert on your smart phone when the hopper is low in food so you know when to fill the feeder. You also can check how much food is in the hopper. 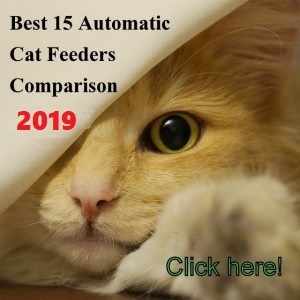 When the lid has been opened for more than 5 seconds, the feeder automatically programs the feeder as filled to predefined level with certain amount of units inside. Once you close the lid, the feeder starts calculating the remaining food by reducing the units dispensed from the predefined total. WHAT HAPPENS IN CASE OF POWER OUTAGES? In case of power outage the feeder won’t dispense but with its integrated battery and timer the feeding schedule will be retained and the unit will continue to its normal operation once the power is restored. If your router has WPS function simply press “Manual Feed” and “Smart Call On/Off” buttons simultaneously. A LED light will flash, then wait for about 2 minutes and then press WPS button in your router. The connection will show the LED flashing slowly. Once the connection is established, you can find the name of PetStation on your app. To add the PetStation on your app, your smart phone and PetStation must be connected with the same Wireless Router. If your Wireless Router has no WPS button, you can connect the feeder to your Wireless router with your PC, via USB cable. In order to set the feeding schedule you need internet service and a smart phone. If the Internet service is interrupted and if the feeder was already programmed with a feeding schedule, the unit will still work as long as it’s powered. The person who programs the feeder the first time will be automatically the “Master”. More people can be connected to the feeder and these people are called “Family”. People connected as “family” will be able to make video calls and remote feed the pet but they can’t setup a feeding schedule, smart calls or register another family member, only the “Master” can do these things. 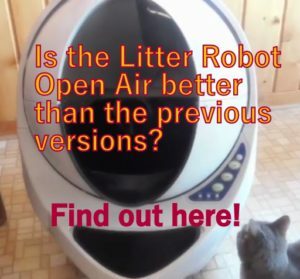 WHAT ARE THE PROS AND CONS OF PETSTATION AUTOMATIC PET FEEDER? The feeder can be programmed from anywhere with your smart phone. Easy to use PetStation app interface. You can create a feeding schedule or feed your pet remotely at anytime from anywhere with your smart phone. You can feed your pet up to 20 times a day. 100% customizable feeding schedule in days or group of days of the week. Intervals from a minute to hours between each meal. Accurate timer for a reliable feeding schedule. Allows you to be in contact with your pet through Skype video calls. You can make video calls to your pet and your pet can make video calls to you. 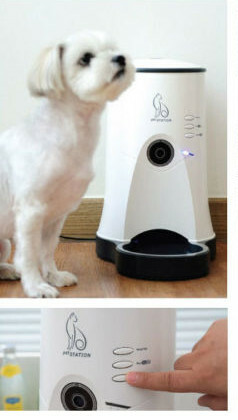 High resolution camera with 90 degree angle of view to watch your pet eating or playing. Image capture with high resolution up to 2 mega px. It retains the programming if unplugged of if power outages. Ability to check the amount of food in hopper from your phone and alert if lack of food. It can’t be programmed without smart phone and internet. Manual in Korean (currently there is an English version online). PetStation video calls are free if using your smart phone in Wi-fi zone so you have to make sure to be using Wi-fi connection when making video calls and not through 3G. If you can’t add the PetStation app on your smart phone, check if your phone had Wi-fi activated and connected with the same Router connected to the PetStation. 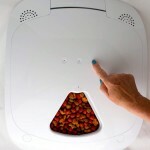 PetStation is an automatic pet feeder that gives an answer to our mobile generation. You can setup, program and control remotely the PetStation feeder from your smart phone anytime, anywhere and using a friendly smart phone app. 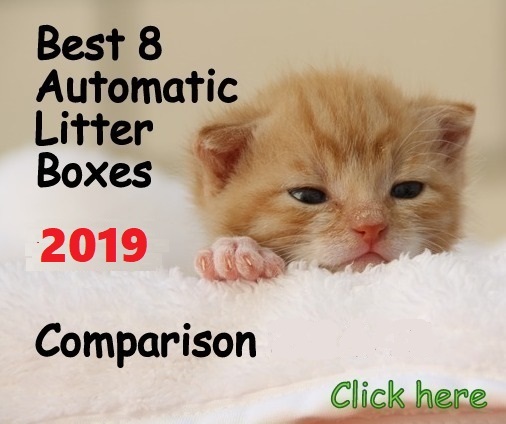 The price of the PetStation could be discouraging but if you have a very unstable working schedule or if you are a busy person, this device will resolve you a problem of managing and controlling your pet feeding activity from wherever you are at anytime. √ PetStation is a unique device and it’s suitable for busy pet owners who use mainly smart phones. Lorena Avila is a Marketing Engineer, Writer, cat figures collector, cat lover and cat owner as well but above all a very passionate investigator of felines. 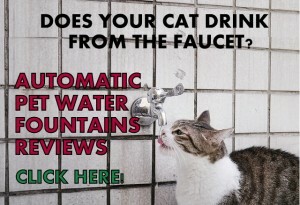 She started investigating cat products 5 years ago when she couldn't find reliable reviews on the internet to buy an automatic feeder for her own cat and since then she has been helping others providing honest information online. Follow her on Twitter, Facebook, Google+, Instagram and YouTube. Where can I find the English Pdf Manual? Hello Jerry, you can find the English Manual here. Hi Jerry, Your recent message got deleted so I am answering here. To reset to factory simply press 3 buttons simultaneously for more than one second and it will initialized to factory and rebooted. This will delete all user setup data in the unit. I just bought this device but unfortunately it has a poor technology that can not connect to router , I test on 3 different router with wps function non of them was able to connect , the same with android application. to get connect you should hold a smart phone for maybe a year next to the device and never get connected because of the poor sound detection technology . I am surprised to read this. 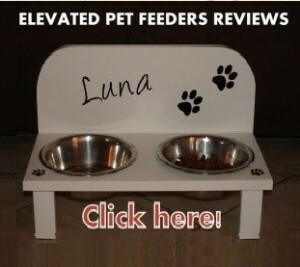 How did you get your feeder that does not come with USB port? Where did you buy your feeder? I don’t think you bought the right product Ahmad. The PetStation does work with Smartphones and it connects to any Wifi. I bought it from ebay.com, I think the company changed the design recently I contact them by email.